Facial recognition is a biometric security system that identifies a person from a digital image or video frame. Unlike fingerprints and iris recognition, the facial recognition system focuses on the facial features of a person. Facial recognition is a biometric security system that identifies a person from a digital image or video frame. Unlike fingerprints and iris recognition, the facial recognition system focuses on the facial features of a person. Facial features such as cheek bones, and the distance between eyes, and eye-brows are the factors that are used to differentiate customers; therefore, the need for physical contact of the subject for identification is not necessary. The facial recognition technology, though being relatively new, can be integrated into the existing surveillance systems. 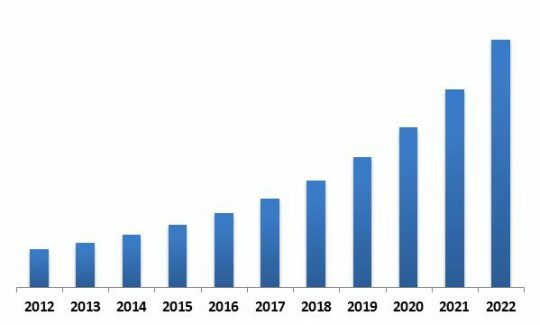 The significant factor driving the growth of the facial recognition market is the continuously growing investment into surveillance systems worldwide. Rising incidences of terror attacks have significantly influenced the need for surveillance systems in public places. The facial recognition technology is now integrated into the surveillance systems for better safety and security. However, due to privacy concerns such as misuse of personal information and data cloning can be a major restraining factor that would hinder the growth of the facial recognition market. Also, these systems can be less accurate and not very reliable when compared to fingerprint and iris recognition security systems. Nevertheless, with ongoing advancements in the facial recognition algorithms, significant growth would be witnessed during the forecast period. The report highlights the adoption of Facial Recognition. 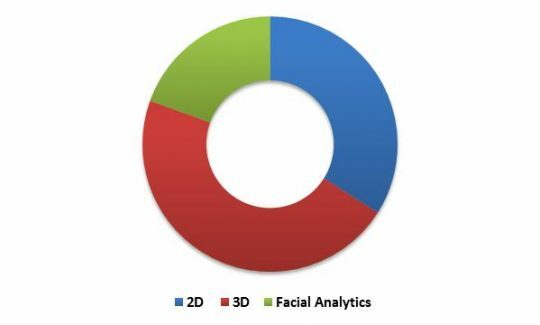 Based on the Technology type, the Facial Recognition market is segmented into 2D, 3D and Facial Analytics. Based on the Component type, the market is segmented across Hardware and Software. 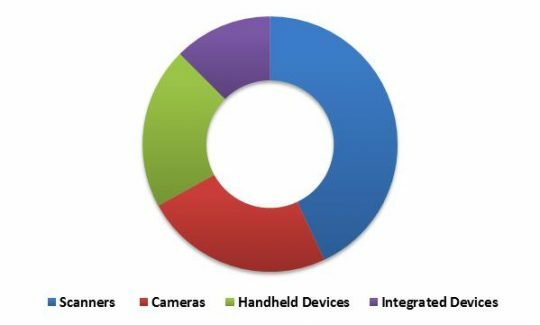 Hardware segment is further subdivided across Scanners, Cameras, Hand held devices and Integrated devices. 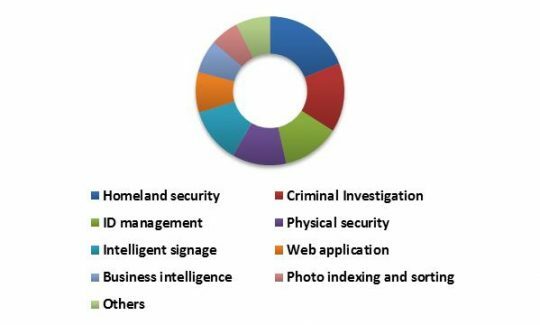 Based on Application Type, the market is segmented into Homeland security, Criminal Investigation, ID management, Physical security, Intelligent signage, Web application, Business intelligence, Photo indexing and sorting and Others. 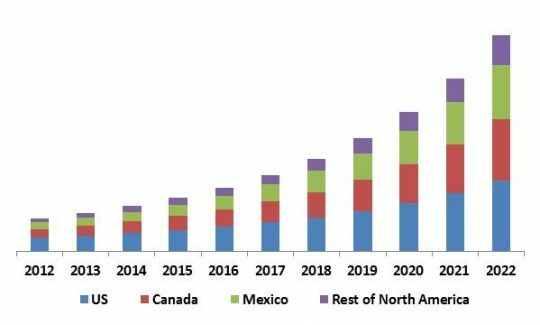 Based on region, Facial Recognition market is segmented into North America (US, Canada, Mexico and Rest of North America), Europe (Germany, UK, France, Russia, Spain, Italy and Rest of Europe), Asia-Pacific (China, Japan, India, South Korea, Singapore, Malaysia and Rest of Asia-Pacific) and Latin America, and Middle East & Africa. 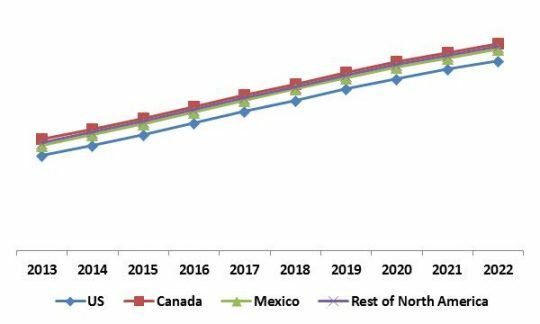 North America remained the dominant region in the global Facial Recognition market in 2015. 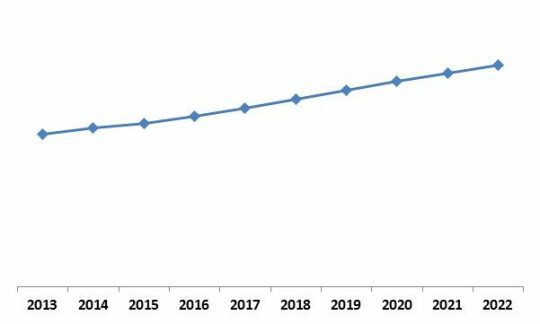 LAMEA would witness highest CAGR during the forecast period (2016-2022). TABLE 81 KEY INFORMATION - NUANCE COMMUNICATIONS, INC.
TABLE 83 KEY INFORMATION – COGNITEC SYSTEMS GMBH. TABLE 84 KEY INFORMATION – DAON INC.